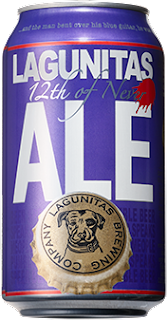 The Wine and Cheese Place: Lagunitas 12th of Never Ale. As the River Styx froze and the final pig took flight, when the last winged monkey departed the darkly fragrant netherlands, as wishes became horses and all the beggars rode… Under a newly-blued moon at dawn on the very 12th of Never: the second-to-last craft brewery in America pressed the green ‘start’ button on their canning line. 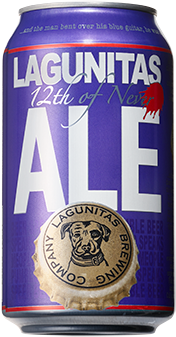 We wanted to be the Last Small Brewer in the U.S. to can their beer and maybe, finally, by now, we are...The ‘12th of Never Ale’ is everything we’ve learned about making hop-forward beer expressed in a moderate voice. Pale, cold, slightly alcoholic, and bitter. It’s all we know.